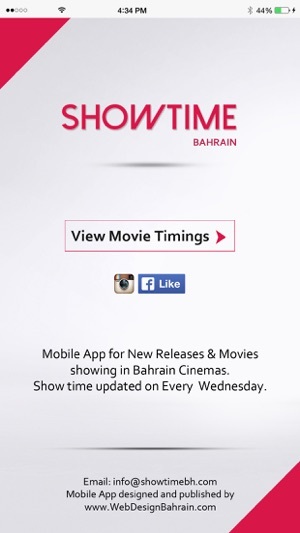 - Get Movie Show Times on every Wednesday, Download now for FREE! 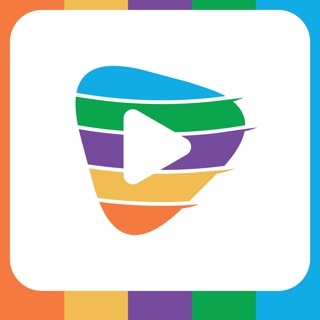 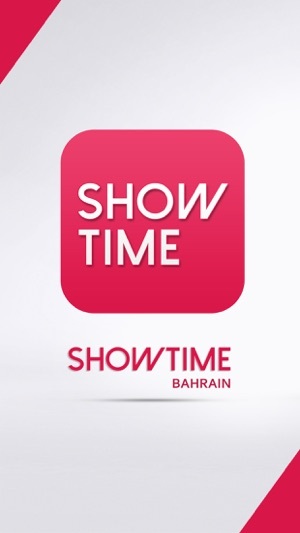 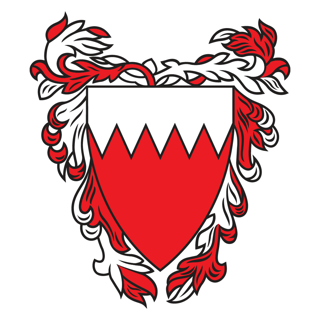 - “ShowTime Bahrain” app is to check New Releases & Movies showing now in Bahrain. 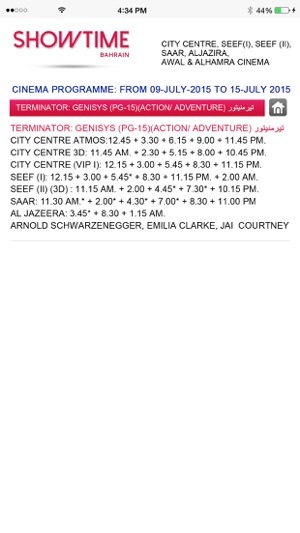 Simple and convenient way to get Cinema timings on weekly basis. 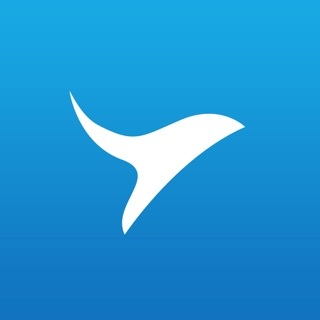 Online Ticket Booking is coming soon. 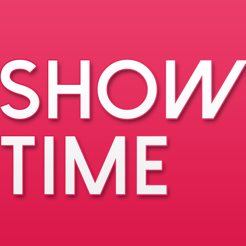 3) Already decided the movie, get the ShowTime in single touch. 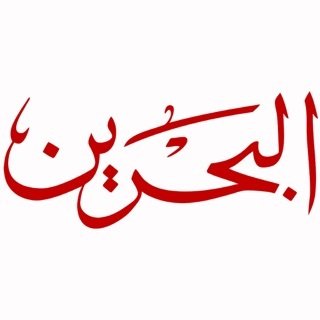 4) No graphics, No images or videos, only text. 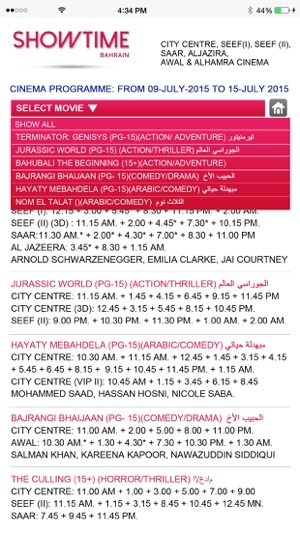 5) Get Notification of Movie Update on Every Wednesday.